There are a few things my daughter is obsessed with. One of them is Paris. One of the other things is American Girls dolls. When those two things come together it's like the perfect storm. Grace Thomas is the American Girl Doll girl of the year, and my daughter would do anything to get her. She also checked out the Grace Thomas book from our local library and is in the middle of reading it. We even were able to have her birthday party at the American Girl Doll store last year. She about passed out from excitement. 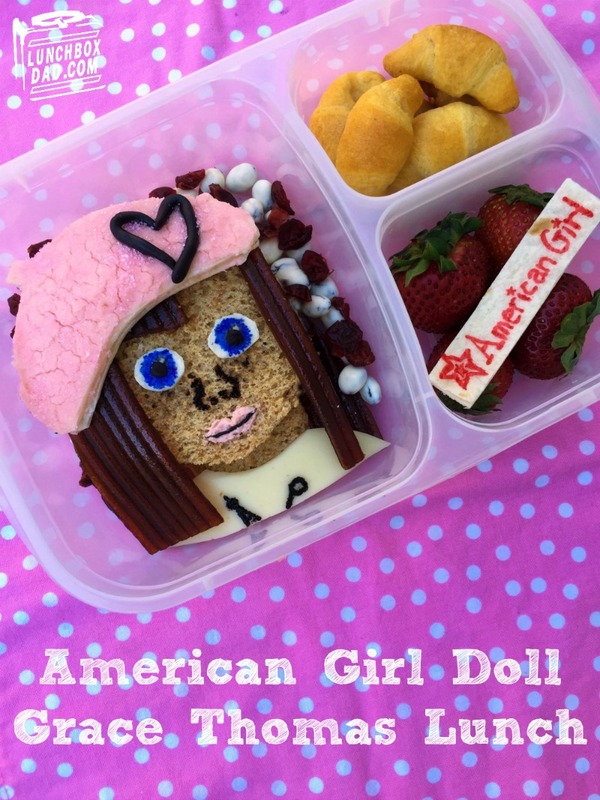 I figured it was finally time to make my her a lunch based on this obsession. I am only going to list the ingredients this week. It's been one of those crazy weekends and I figure you know how to make a sandwich without directions. I created the lunch in an Easy Lunch Boxes container. I made American Girl Doll sized mini croissants by cutting ready made croissant dough in small pieces. I included croissants because Grace Thomas not only enjoys Paris, but she loves baking. As much as a doll could like Paris and baking pastries, I guess. 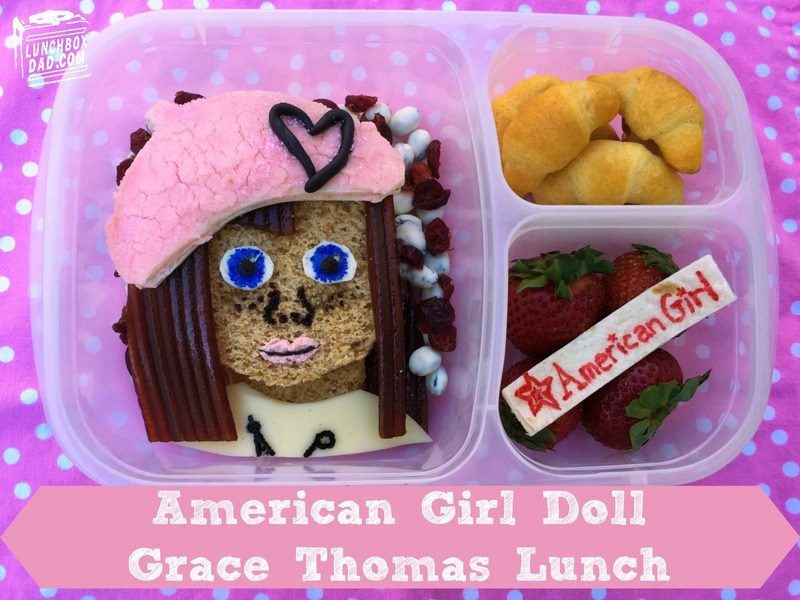 Grace Thomas' face and head is a turkey sandwich. I used cheese for her shirt. 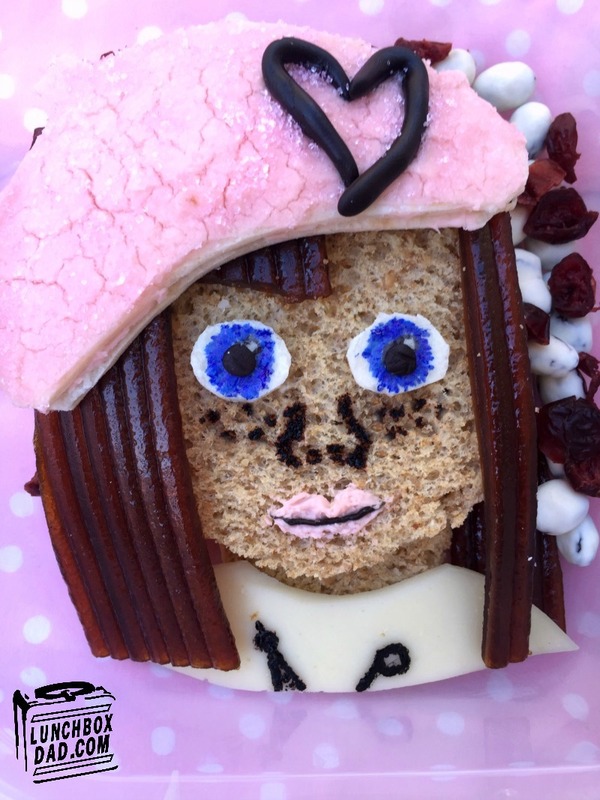 The beret is tortilla with strawberry cream cheese. I used edible modeling dough for the black heart on the beret. Her hair is natural fruit leather. The facial details and letters are food color marker. I used yogurt covered raisins and dried cranberries for the background. Remember to follow me on my social media channels and check back later this week for a few surprises. I have some new reviews coming up as well as some great recipes for Mother's Day and BBQ season! Love the mini croissants and the hair!